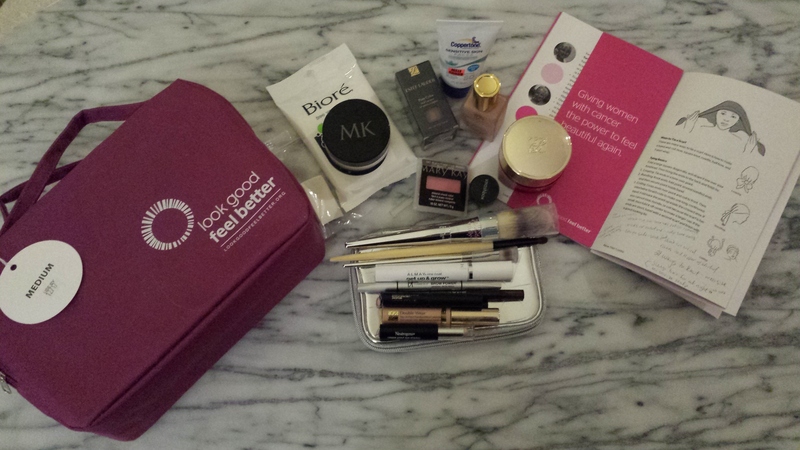 Ever wonder where your donations go when you give to the American Cancer Society? Well, last week I went to a Look Good, Feel Good class. A volunteer named Rhonda gave each of us a bag full of donated makeup and taught us how to draw on eyebrows, use thicker liner to hide the lack of eyelashes and how to tie a head scarf. She was very helpful and even directed me to a phone number where you can make an appointment at a wig bank. 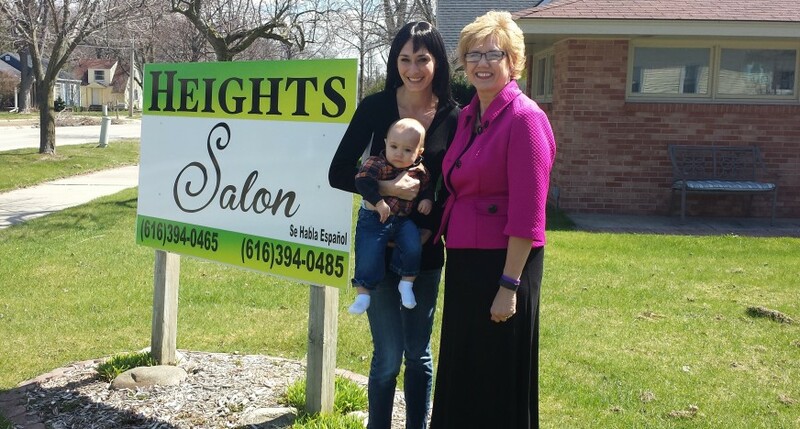 I decided to visit a wig bank in Holland at a salon called Heights Salon. Kim was so sweet and let me try on several wigs. I picked out a really dark brown shoulder length synthetic wig. I was so surprised that I would even like my hair that dark, but if there was ever a time to experiment, I suppose now is the best time! I also called my insurance company to see if they covered a wig and they said they would cover one as long as the shop took Blue Cross Blue Shield. The hospital has a boutique that sells wigs and they took the insurance as long as my doctor wrote a prescription. In the end, I picked out a synthetic brown layered bob and filled out a claim form for reimbursement. The stylist even cut the bangs a bit so they were not in my eyes. The Saint Mary’s Hospital Boutique also offers $50 of free services like hair cuts or manicures and pedicures. This is pretty awesome, because chemo patients can’t go to public places for these kinds of services for fear of germs and infection. Being able to prepare for hair loss has helped a lot. I really appreciate all of the volunteers and the overall organization that the American Cancer Society offers.